Sometimes all that we need is to get away from the awful shrieking sound of the cities and find an abode in the countryside; someplace like the scenic Chikmagalur in Karnataka. Whether you want to experience the simple Malanad culture or just want to get lost in the misty hills of Mullayanagiri, the best homestays in Chikmagalur let you have it all. In this little hill station, you can witness the enchanting charm of Western Ghats, see river Bhadra flow gracefully behind your homestay, and witness the expansive green fields turn into a riot of colours and scents during bloom time. Here’s a list of the best homestays in Chikmagalur for that peaceful vacation you’ve been waiting for. Among the best homestays in Chikmagalur, Nature Craft Homestay is set amid the beautiful pepper and coffee estates. You’ll love the large windows, simple decor, and country feel of this homestay. Ansar—the host—and his family make sure that their guests are comfortable and their needs are fulfilled during the stay. The host has a beautiful and friendly St. Bernard to accompany you. Surrounded by green valleys and mostly lost in mists, Clover Leaf Homestay is one of the best homestays in Chikmagalur. 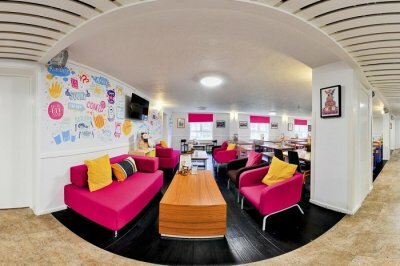 It’s a perfect abode for anyone looking for a homely stay with large groups. The hosts serve some delicious home-cooked food, and their hospitality will leave you satisfied. The homestay has ample parking space available for your vehicles. Also, there’s an adventure camp just 1 km away from the homestay, where you can try some fun activities together. One of the best homestays in south India, Shanthi Kunnj Homestay is not just a place to stay, it’s an incredible experience. 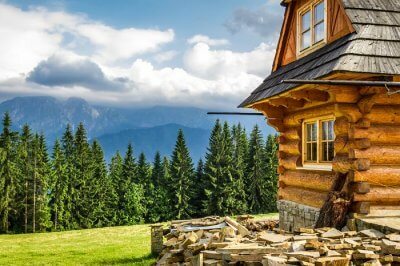 You can stay in a cool glass house, or a rustic log house, or a humble mud house with family and friends. Their glass room is probably the best room to stay as it is situated above Bhadra river, and you can see the river flow from your balcony. And the owner of the homestay, Carol, is incredibly friendly and takes care of guests very well. 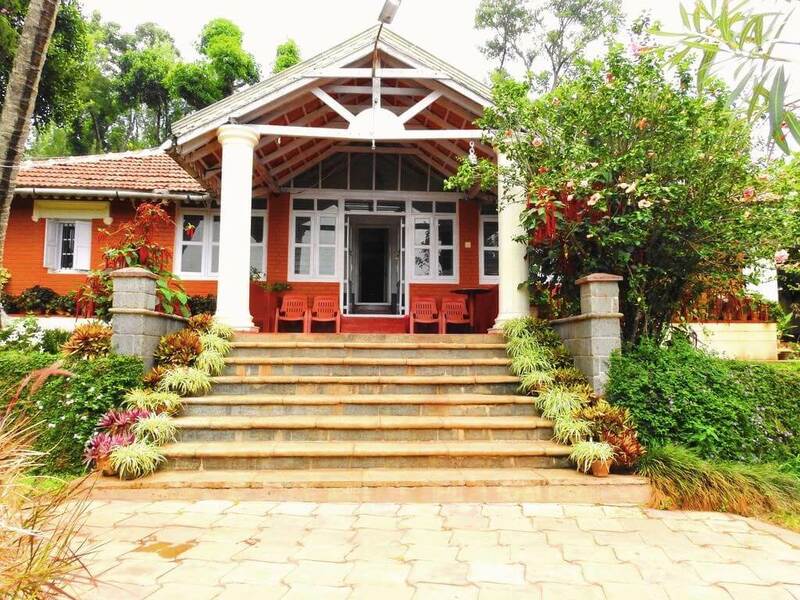 Some of the best Chikmagalur homestays include River Woods, which is situated in the serene 360 acres of coffee estate. The beautiful silhouettes of the rolling hills and the birds in the evening skies will surely mesmerize you. The hosts also organize activities like kayaking/river rafting, hiking to Merthi peak, Kudremukh National Park, and a tour of Bhadra Wildlife Sanctuary for their guests. Suggested Read: 8 Best Cottages And Homestays In Matheran For Those Who Love To Stay Like Locals! 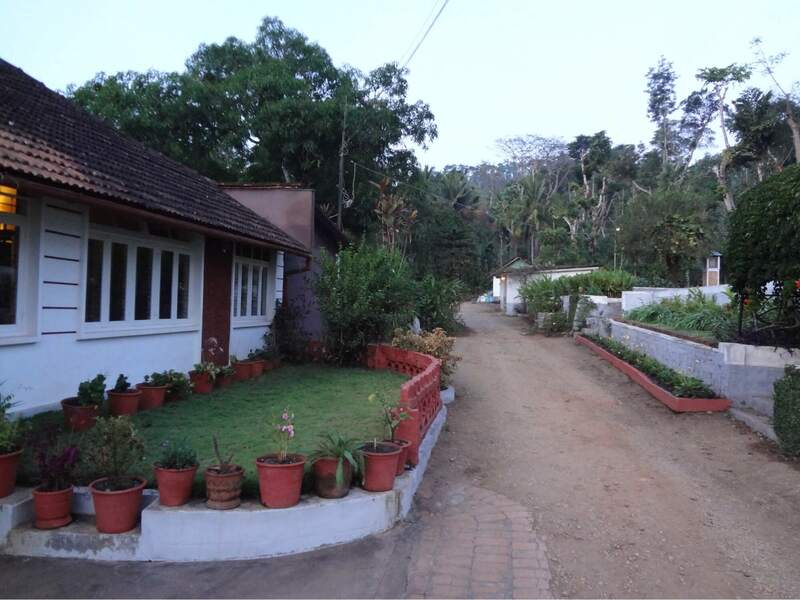 Thotadhahalli Homestay is the finest Mullayanagiri homestay set in the peaceful hills of Mullayanagiri to offer you a perfect vacation. During your stay in the home, you’ll learn a lot about Malnad tradition, their food, and culture. This homestay is filled with unique antiques adding to the beauty of its interiors. The host, Mr Prakash is one of the best hosts you’ll ever come across. Another great Mullayanagiri homestay, Thippanahalli Homestay is a wonderful heritage bungalow set amid the rolling hills of Chikmagalur. The rooms here are spacious and overlook the gorgeous hills and coffee plantation. Arpitha and Nitin, the hosts of the homestay are a lovely couple who takes care of every need of their guests. 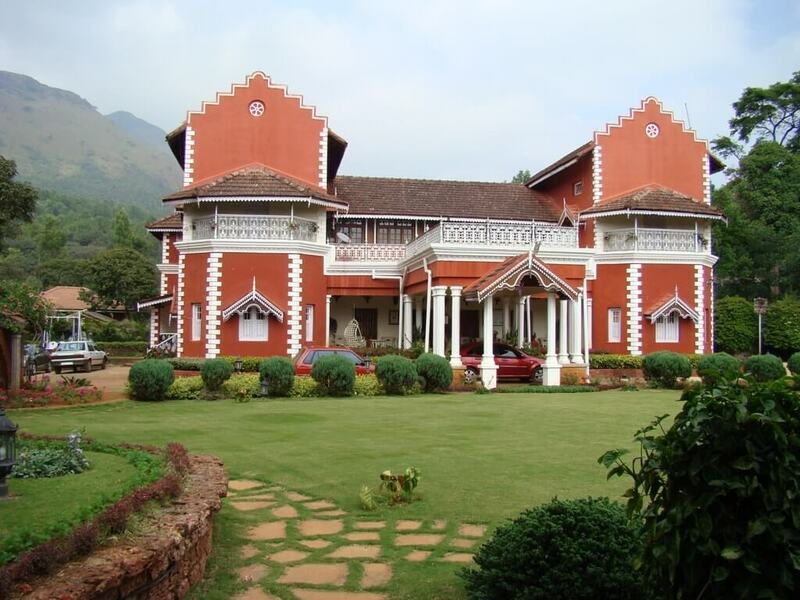 The Coffee Bean Homestay is a 100-year-old heritage home settled amid the breathtakingly beautiful Western Ghats. 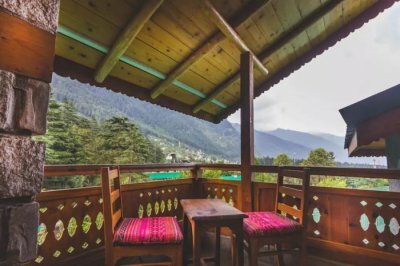 The homestay has a beautiful courtyard with a fireplace, a small private library, and private balconies overlooking the forests and hills. The whole place is surrounded by avocado, jamun, and guava trees. The hosts of the homestay serve some of the most delicious Malnad cuisines with so much love and care. Couples who are planning a vacation in a secluded place must consider The Hidden Valley. 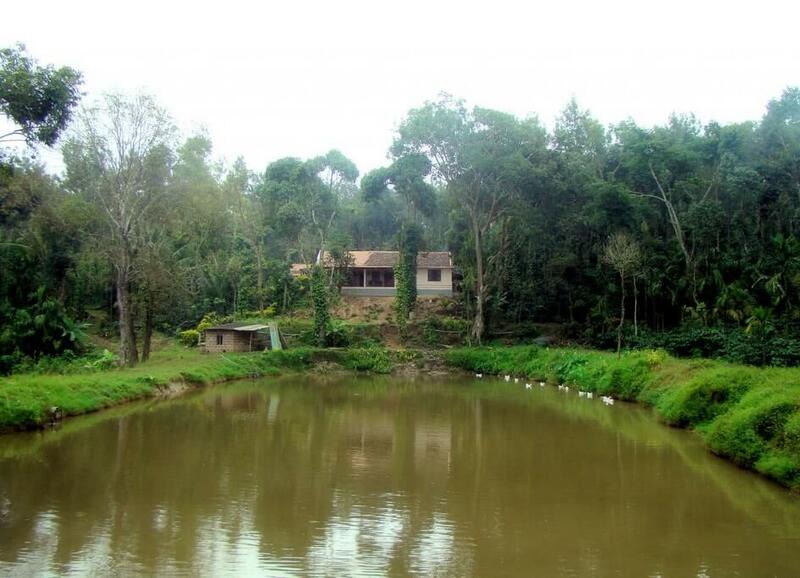 Among the best homestays in Chikmagalur, it offers romantic boat rides on their small private lake. 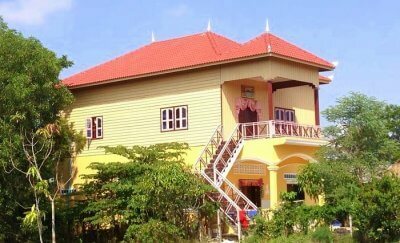 One can spot ducks, rabbits, turkeys, and wild chicken on this 30 acres of coffee estate. The amazing host takes you on nature walks and his lovely german shepherd will accompany you wherever you go. The secret of their success lies in their fine hospitality and caring nature. 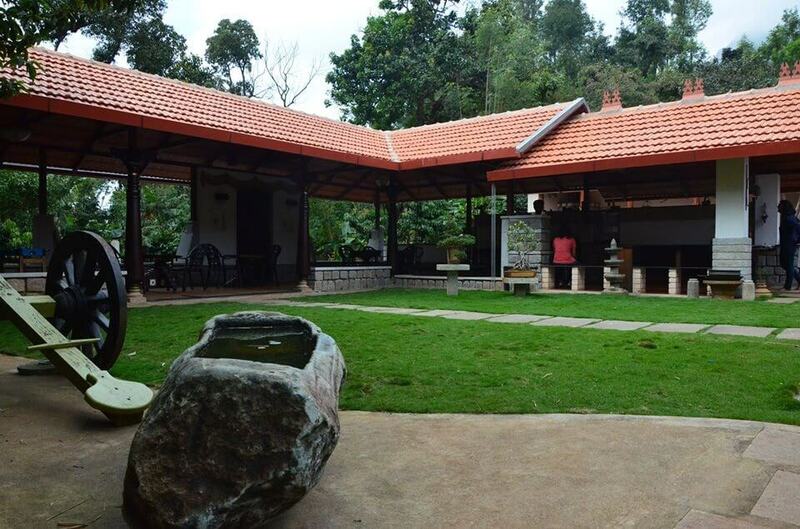 Situated in the foothills of Mullayanagiri, Athithi Homestay is a perfect place to stay in Chikmagalur on a budget trip. 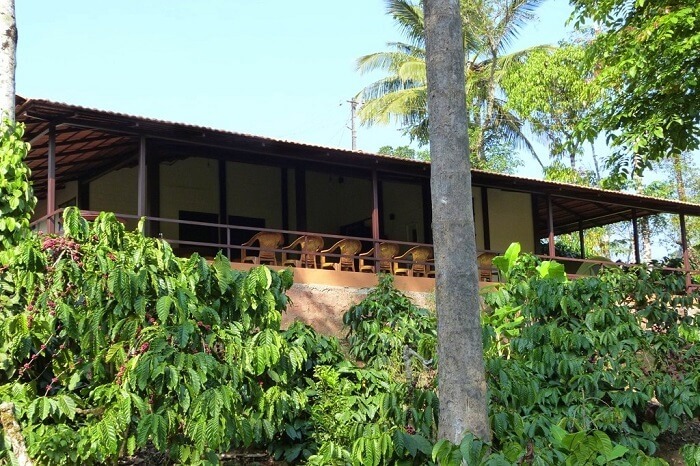 Other than their serene and lush location, it is also known for the mouthwatering Malnad cuisine and warm hospitality. 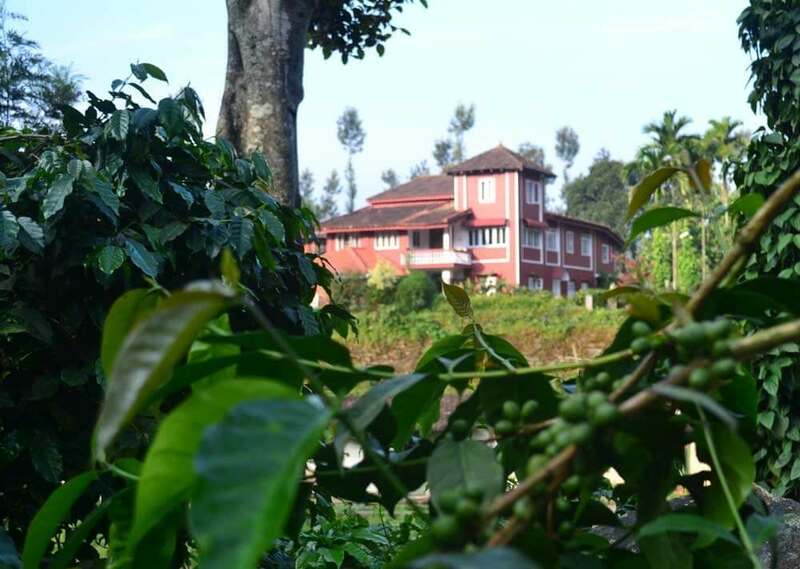 The wonderful views of coffee plantations and the woods will leave you awestruck. If you want to unwind and relax in the middle of vast coffee gardens, then Coffee Land Homestay is one of the best homestays in Chikmagalur for such a vacation. 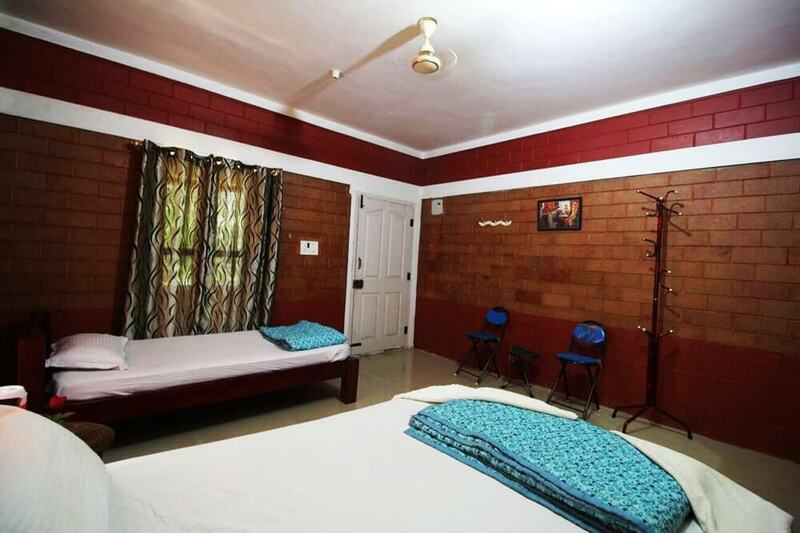 They have four spacious bedrooms that are equipped with all the basic amenities to make your stay comfortable. The extremely friendly staff and host and their warm hospitality will make you fall in love with this place. 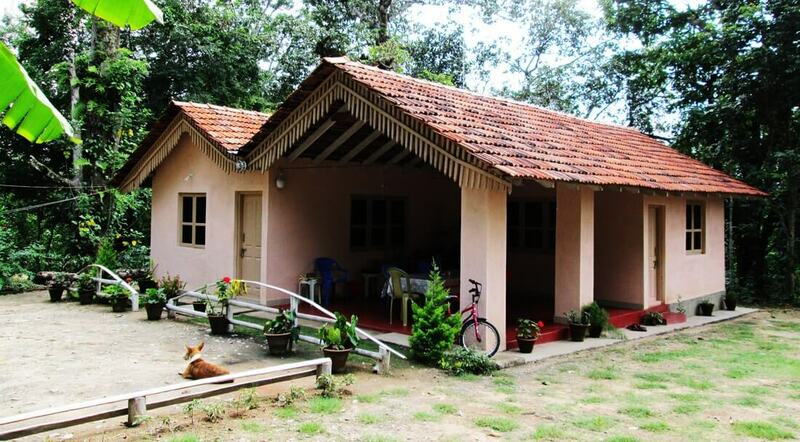 Forest Homestay is one of the cheap homestays in Chikmagalur for a perfect family vacation. Right in the middle of the beautiful Maradi village, Forest lets you experience the untouched beauty and splendour of the mesmerizing Western Ghats. The gushing streams, chirping birds, scents of coffee beans, wild orchids, and the cool winds will make you stay longer than you’ve planned. 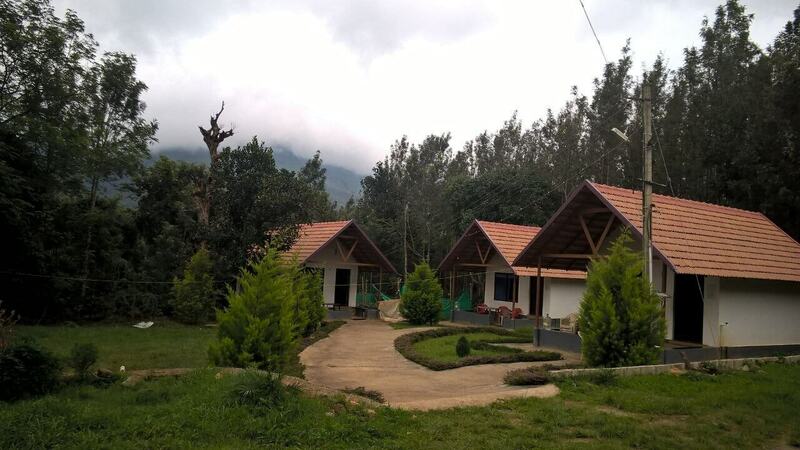 One of the best budget homestays in Chikmagalur, Devigiri nestles in the lush green Baba Budangiri range. This is a place that lets you experience the best hospitality, untouched natural beauty, and a true country life. Surrounded by 50 acres of coffee estate, Devigiri offers panoramic views of the incredibly gorgeous Western Ghats. Tucked in a 40 acre coffee plantation along the Western Ghats, Karadigundi Estate Homestay is a rich scenic surprise for guests with hills, lush valleys, sparkling streams, and coffee estates. 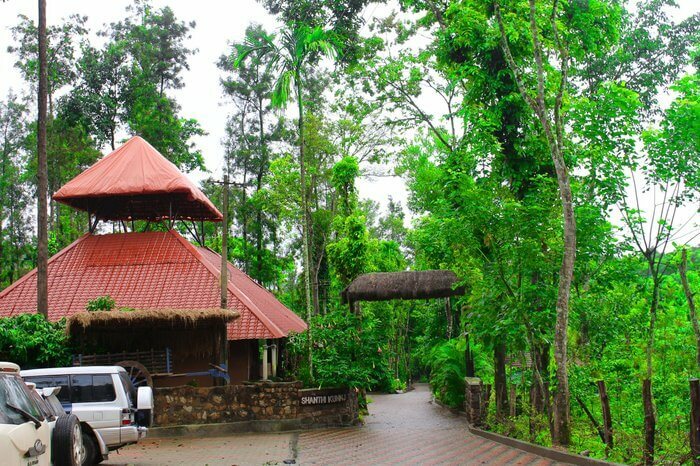 Though it can be visited at any time of the year owing to the pleasant climate here, staying here in monsoons is highly recommended since it turns the region greener and fresher. Offering the perfect retreat for peace, relaxation and, adventure, Karadigundi is among the best homestays in Chikmagalur. 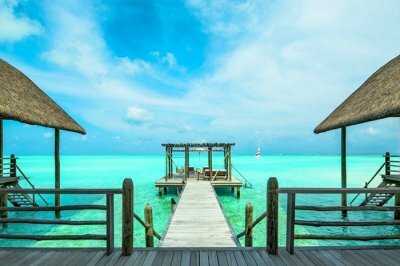 It lets you immerse in the beauty and serenity of this place far away from the hustle and bustle of urban life. 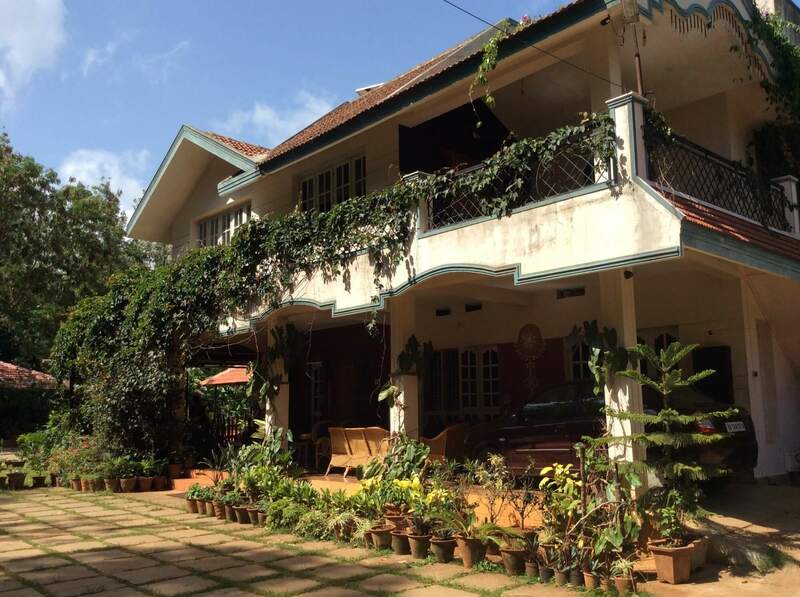 Which are the homestays in Chikmagalur below 1,500? 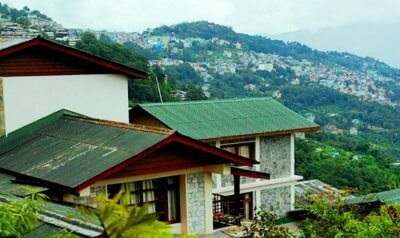 A. Devigiri Homestay is the best homestay here in the specified range that offers all basic amenities and top-notch hospitality in this price. 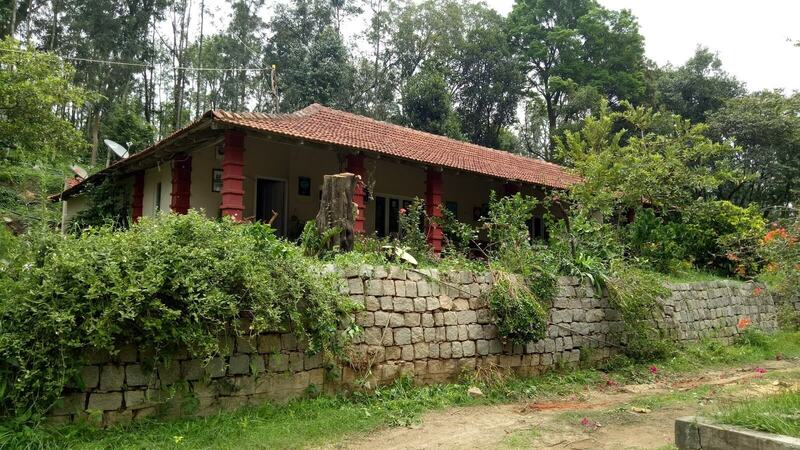 Is there any homestay in Chikmagalur near Bababudangiri? A. For staying near Bababudangiri, one should consider booking the Bababudangiri Homestay & Resort which is an amazing option here. Does Chikmagalur sound interesting enough for you to pack your bags and leave the clamorous Bangalore city behind? If so, checkout some great weekend getaway packages to save big on your trips.